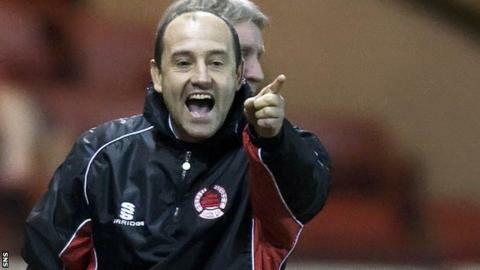 David Farrell has been appointed assistant manager by St Mirren and renews his partnership with Alex Rae. Rae, who took charge at St Mirren Park last month, had Farrell as his assistant while he managed Dundee. Later, Farrell, 46, was also first-team coach while Rae was assistant to Paul Ince at Notts County. Veteran former St Mirren manager Alex Miller had been assistant to Ian Murray, who resigned as team boss at the Paisley club last month. Farrell, who has signed a contract until summer 2017, was a defender with Hibernian, Partick Thistle, Airdrieonians, Clydebank, Stranraer and Albion Rovers. He also had a spell as assistant with Clyde. More recently, Farrell has been the author of an internet football blog and an autobiography about his life in the game. Rae's reign at St Mirren started with a 2-0 win away to Alloa Athletic, but the Buddies then lost 4-1 at home to Livingston, who leapfrogged his side into third bottom spot in the Scottish Championship.